In the world of retail, the adoption of technology has never been more extensive. The inevitable need to deliver a customized and seamless experience to customers has led to the influx of varied technology services. In-store Wi-Fi, mobile checkout, video surveillance, electronic shelf tags – the list is ever-growing! Technology in retail is expected to gain momentum in the coming years as well, with Gartner predicting tech spending to grow 3.6% globally over the next three years. This scenario exposes a hard-hitting reality – the existing legacy networks should undergo a major transformation. They need to improve in terms of providing uninterrupted connectivity, handling peak traffic loads, being available round-the-clock during marketing campaigns and beyond. The bandwidth-intensive applications of today demand next-gen networks that can operate at peak efficiency and sustain the performance. Enter Software-Defined Networking (SDN). SDN is a network architecture approach being adopted by network administrators to make networks more flexible and agile to changing business requirements. The architecture decouples the network’s control and data planes, enabling the control plane to be centrally and directly programmable through software apps using open APIs. The common SDN control layer helps operators dynamically adjust network-wide traffic flow to meet the needs of the present bandwidth-intensive apps, and to support new apps and services. Needless to say, the proprietary hardware in retail is getting replaced with this open technology, making network management inexpensive, efficient, secure and seamless! Retailers, irrespective of size or industry, have started embracing SDN technology to build flexible networks at reduced cost and maintenance. Retailers, today, need networks that are flexible enough to flex and shift to keep up with the ever-changing landscape of the retail industry. Let us consider the penetration of IoT as an example. Consumers today demand a unified experience across all online and in-store interactions which is being made possible with retail IoT. Smart shelves, beacons, robots and more are being employed on a massive scale to offer a personalized experience and win customer loyalty. The burgeoning IoT comes with plentiful end devices and edge computing, dispersed across locations, with the need to manage and store a plethora of data. SDN’s flexibility becomes paramount in such situations. Its ability to dynamically adjust network behavior based on traffic fluctuations, policy reforms and security outages will empower IoT environments to deliver to the fullest. The centralized management, enabled by SDN architecture, will enable retailers to add or subtract cloud services, easily connect to them, configure and scale networks and increase bandwidth. This would empower them to seamlessly try new services and set up new stores in different locations. They can pursue new network technologies to handle the rush in data traffic and modify traditional network into dynamic and efficient multitier network platforms. Though the present networking devices are capable of executing a variety of functions and applications, many are slowly becoming incompatible with the emerging technologies. Apart from facing the risk of getting outdated, the maintenance of hardware components like switches and routers gets labour intensive. SDN helps overcome these shortcomings as dedicated hardware is uncalled for. The centralized control facilitated by SDN helps network admins to monitor the network performance from a centralized controller, eliminating the laborious task of tracking every point of the network. This further reduces the complexity, downtime and maintenance. Upgrading systems also gets easier with the elimination of hardware. With virtualized and centralized networking solution, retailers can reduce the cost of purchasing and installing the hardware to support their applications and requirements. Since hardware gives way to software in SDN, costs associated with maintaining, powering and repairing equipments get mitigated. The virtualized and centralized networking environment enables retailers to expand businesses to new geographies at reduced costs. To add on, the open source options of SDN eliminate licensing fee. While retail is slowly taking to SDN to connect stores across locations, a company that reaped the benefits of being a first-mover is The Gap Inc. The American clothing and accessories retail giant started leveraging SDN way back in 2015 to connect its Internet stores over public internet using encrypted connections. Over 800 software-defined routers were installed in its stores which gave each store over 10 to 15 times more bandwidth than it had previously. The software approach made network upgrades or changes in remote locations much easier and was able to bring about 50% reduction in costs compared to the conventional method of WAN connectivity. With customer-focused retail gaining importance by the day, retailers are left with no choice but to re-evaluate and transform legacy networks to superior networks, capable of delivering uncompromised connectivity. SDN technology is helping them realize the same at lower cost, complexity and maintenance. 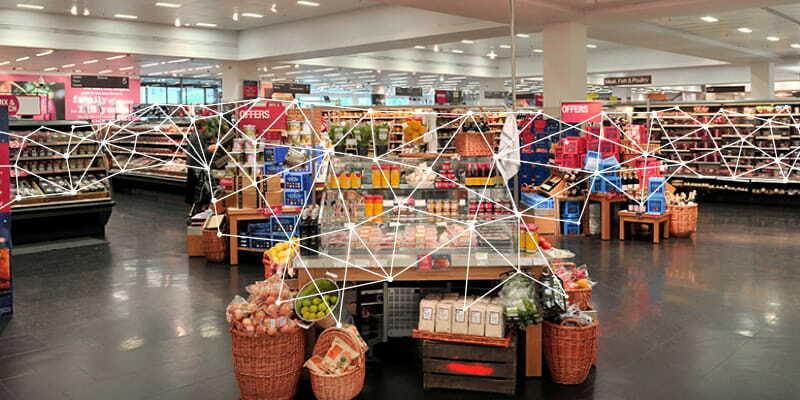 It’s certain that SDN in retail is going to be phenomenal in the coming years. Let’s brace ourselves to witness the industry getting transformed like never before!